For more than 30 years, several hundred senior high youth and their sponsors have chosen Austin College as the site of the Grace Presbytery Senior High Youth Connection (SHYC) each January. 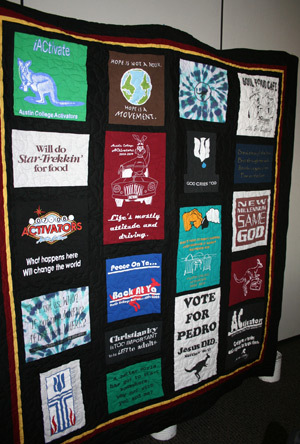 In January 2011, the 750+ guests (which happens to be the largest annual presbytery youth gathering in the nation) came from the usual churches—but several Austin College alumni came from farther afield as the weekend held extra meaning for them. 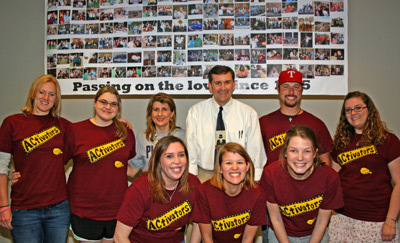 With leadership roles in the youth event, the ACtivators, Austin College’s youth ministry team, celebrated its 500th event. The group had its beginning in 1995 when today’s Austin College chaplain John Williams ’84 (then director of church relations) and five students traveled to Albuquerque, New Mexico, to serve as leaders at an event for Santa Fe Presbytery. That successful program paved the way for future events. Amy Allen Parker ’95 was among those initial leaders. In an anniversary celebration of the program’s 15th year in 2010, she explained that those five individuals had no idea that a program would grow from that event or all that it would become. 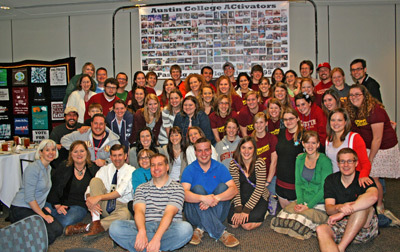 As the group met for SHYC, the program had, over 16 years, involved 441 Austin College students who had traveled more than 143,000 miles to help plan and lead 499 ministry events involving more than 41,000 children, youth, college students, adults, and senior citizens. The original team members and their roles today follow. See photos and read more of the original team’s thoughts on the milestone event. The ACtivators program, with the continued guidance of Williams, has been coordinated for the past 10 years by the Religious Life program’s Sallie Majors interns. The internship program was established in 1999-2000 with a gift from Joyce and Robert M. Johnson ’53.